On 31st of January, Gori Regional Office of the University of Georgia will held the presentation of project- “Fight against Bullying and Ways of Prevention in Public Sphere”. The project is coordinated with Research Center of Human Rights and International School of Intellect and Education. The project is cognitive and envisages only to increase awareness among students from VIII to XII grades, to get acquainted with the basics of civic education and psychology. 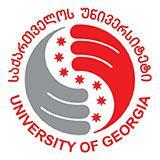 Project of student of the University of Georgia- Ketevan Khorava is funded by HHRC-Human Rights Research Center. Project will be hosted by Regional Offices of the University of Georgia, which is located in 7 big cities.